Manchester City Set For One Last January Splurge? Both the Daily Mail and the Times are reporting this morning that Manchester City have their hearts set on making one last signing before the transfer window closes in a-smidgen-over-a-week’s time – namely Ajax’s highly-rated right-back Gregory van der Wiel. Apparently, having followed Van der Wiel’s progress for more than a year, City are now perfectly willing to activate the £17 million ‘release clause’ written into his contract at the Amsterdam Arena, and are hoping to schedule a meeting to discuss personal terms with the 22-year-old defender at some point next week. The Mail also add that City execs are hoping Van der Wiel’s close friendship with national teammate Nigel de Jong may just be enough to swing the deal in their favour, i.e. 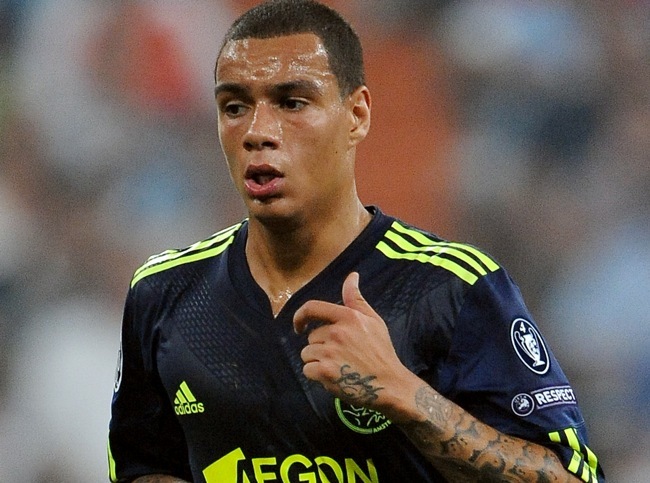 if Van der Wiel turns down the move, City will set De Jong on him. Now, without trying to sound like a grumpy git, I thought City promised that Edin Dzeko was going to be their last ‘big money’ signing of the season? Or does £17 million just not cut it as ‘big money’ at Eastlands anymore? This guy is top class. I could actually agree with the money they’re going to be spending here. As good as the boy is, City dont need another fullback, City need a central defender! does the term “big money” even exist at city?